After its unpublicised closure recently, the footpath from New Street carpark to Withers Way is now reopened – but is looking a bit sorry for itself. We assume the closure was for works at the back of the new Manor Gardens development (between the Manor House and the carpark), and similarly assume that the developers will now work to tidy up the footpath. Any eagle-eyed readers who notice an improvement, do tell us! Meanwhile, the two four-bed houses being built on the development, marketed at £725,000 each, have both been sold, according to the website of agents Scott Fraser (the three-bed houses, on the market for £395,000 and £495,000 are still for sale). Look out for a big piece on Chippy’s housing in the April edition of Chippy News, where we look at what the town’s housing needs are, and what we might get in the future. 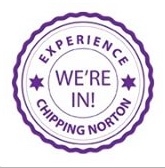 This entry was posted in news, places and tagged building, Chipping Norton, development, footpath, houses. Bookmark the permalink.